DIRECTIONS: In basement of Jackson Memorial Hall. GENERAL DESCRIPTION: With the acceptance of a Revolutionary War musket in 1856, Superintendent Smith created the VMI Museum, the first public museum in the Commonwealth. Today the museum collects, preserves, interprets and exhibits the heritage of VMI as recorded in the 15,000 artifact collection. Exhibits illustrate the history and traditions of the Virginia Military Institute and includes Stonewall Jackson's war horse, Little Sorrel, a replica of a cadet room, cadet rings and an important gun collection. Since 1839, VMI alumni have helped mold the history of America. The museum traces the amazing civilian and military careers of many alumni. Among the ranks of the alumni are Nobel Prize recipients, Pulitzer Prize winners, explorers, film stars, national, state and local political and civic leaders. TYPES OF PATHS: Walkways are carpeted with no steep grades. ENTRANCE: Between engineering building and chapel, around back. Handrails on left and rt. Ramps provided. Entry doors, 54 in. wide, easily open out with “D” style handle located 30 in. above floor. PUBLIC REST ROOMS: Doors are 32 in. wide, open out. No turns to enter. Not a stall, but a bathroom and handrails. 19 in. toilet seat height, 10-12 in. between commode and wall. Sink height is 31 in. Rest rooms are identified by a raised figure with pants or skirt on door to designate men or women. Unisex and/or companion assisted rest room available at the public rest room. 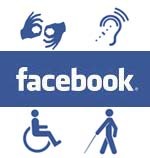 SPECIAL SERVICES: Guide book for guests with disabilities. For guests with visual disabilities, there are signs in large print. ADDITIONAL INFORMATION: Accepted credit cards MC and V. Open 9-5 daily. Free admission.